SECURE names, phone numbers, addresses of other drivers, witnesses & injured persons. SKETCH out drawing of scene showing position of cars & other important details. DON’T hastily accept claim settlement at the scene. REMAIN calm, courteous, and consistent in your version of the accident. Notify your insurance agent as soon as possible. Injured in an accident? We’ve got your back! 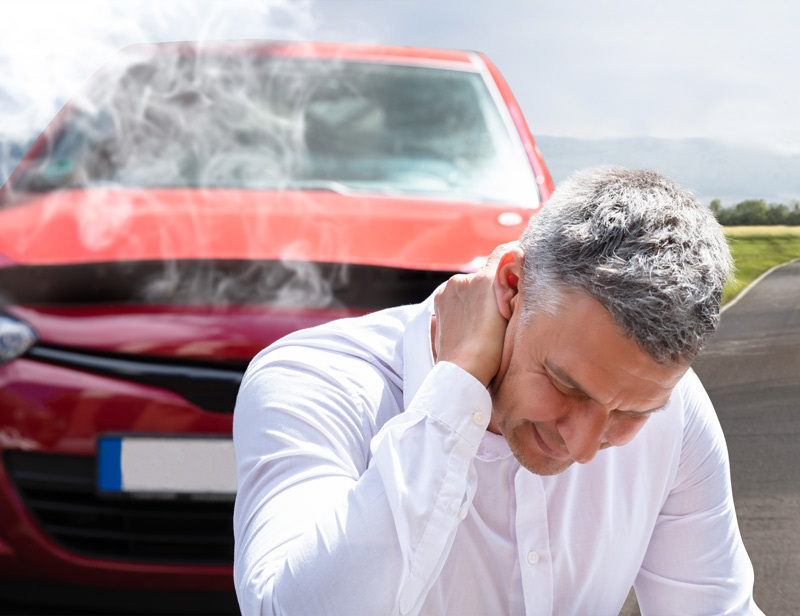 What do I do in the event of an auto accident? What do I do if I feel immediate pain or discomfort? Do people suffer serious injuries in low impact accidents? Yes, disk damage can occur with impact speeds of 15 mph or less. Do I need to have an attorney in order to see a doctor? No, if in pain, you can schedule a doctor’s appointment without being represented by an attorney. Seeking qualified medical attention within 72 hours of your accident, if possible, is recommended for proper diagnosis, treatment, and optimal recovery.